Nutan was undoubtedly one of the greatest and most expressive actresses that Indian cinema has ever seen. She was that rare actress who could convey much more with just a look or fleeting glance or gesture than most actors could even with expansive dialogue at their disposal. And leave alone acting, even the great Lata Mangeshkar has many a time singled her out as the heroine whose expressions came closest to suggest she was genuinely singing the song herself! Born on June 4, 1936, the daughter of famed actress Shobhana Samarth and elder sister of fellow actress Tanuja, Nutan grew up full of complexes. Though renowned for her beauty later, she was actually dismissed by unfeeling relatives as skinny and ugly. 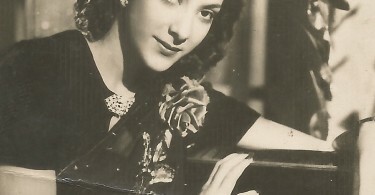 Undeterred, Shobana Samarth launched her as a heroine in Hamari Beti (1950). Hum Log (1951) and Nagina (1951) both proved popular and set Nutan on her way. Still, it was only in 1955 that Nutan finally got her major breakthrough and respectability as an actress par excellence with Seema where she played a delinquent in a reform home. Till then none of her films had really offered her a role of such depth and a character that was so finely etched and Nutan gave it all she’s got. It was the perfect comeback vehicle for her as she had meanwhile also taken a short sabbatical to study at the Swiss Finishing School La Chatelaine. In Seema, Nutan gives us glimpses of what a thinking actress she was. It was a powerhouse performance and won her the Filmfare Award for Best Actress. Apart from her stunning performance, a highlight of the film is the classical song Man Mohana. Perfectly rendered by Lata Mangeshkar, the lip sync of Nutan to this difficult song is spot on and this when the song is picturized in really long takes! Every subtle change in pace or tempo is registered subtly by Nutan particularly in the alaap portions and this song was in fact rated by Lata Mangeshkar as the best ever lip synching given to any of her songs. Subsequently, whether it was the lighthearted comedies Paying Guest (1957) or Dilli ka Thug (1958), where she performed with a frothy uninhibitedness comparable only to Madhubala or Geeta Bali, or Bimal Roy’s intense Sujata (1959), which brought out the best in her as a serious actress, Nutan was always matchless. In Sujata, Nutan enacts the role of the untouchable girl with stunning grace and won her second Filmfare Award for Best Actress. In 1959, Nutan married Naval Lieutenant Commander Rajneesh Behl and took a small break when her son Monish was born. She did do a film with her husband, the critically acknowledged Soorat Aur Seerat (1962) and made a stinging comeback to mainstream Hindi cinema with Navketan’s Tere Ghar ke Samne (1963), a refreshing romantic comedy opposite Dev Anand, and Bimal Roy’s masterpiece, Bandini (1963), boasting of possibly her greatest ever performance and certainly one of the greatest performances of Indian Cinema. 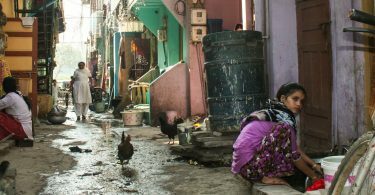 The film tells the story of a woman prisoner charged with murder. Totally devoid of highly charged emotion and theatrics, Nutan appears as a quiet woman with her passions raging from within her and plays her role with great delicacy and dignity. One just has to see the entire gamut of emotions fleeting across her face in the film’s key sequence before she murders her lover’s wife. It is a masterful performance by an artiste supreme and helped win her yet another Filmfare Award for Best Actress, her third. 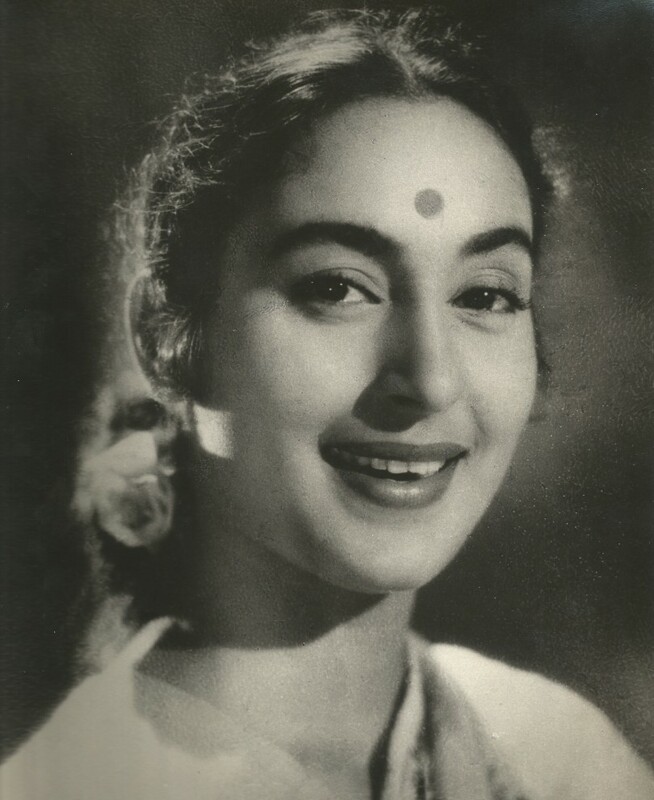 Nutan’s career shone bright right through the 1960s and 1970s with strong performances in films like Milan (1967) – another Filmfare Award for Best Actress though it has to be said her dual roles in this reincarnation drama were not as challenging as some of the ones she had done earlier – Saraswatichandra (1968), Saudagar (1973) with rising star Amitabh Bachchan, Sajan Bina Suhagan (1978), Kasturi (1978) and Main Tulsi Tere Aangan Ki (1978). She carries the last film, directed most ably by Raj Khosla, entirely on her shoulders even though the sympathy was with the mistress (Asha Parekh) rather than the wife, (Nutan). It was yet another Award winning performance by Nutan. Gradually however, Nutan began being saddled with mundane mother roles and barring Meri Jung (1985), none of her later films even remotely offered her any histrionic challenges. Still, she gave much strength and dignity even to her maternal roles and you could never find fault with her performances even if most of the films were nothing to write home about. Even as she continued to act, her dairy farm, her bhajan singing (she was actually blessed with a fine singing voice and did her own playback in Chhabili (1960)) and her search for spirituality took up most of her time. And when she died of cancer on February 21, 1991, Indian Cinema had lost one of its greatest performers, sadly, much, much too early. Thank you, the correction is done!